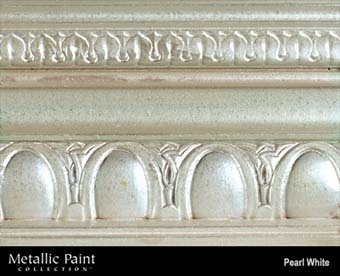 Paint Colors :: MANUFACTURERS :: MODERN MASTERS :: Metallic Paint Collection :: MODERN MASTERS METALLIC PAINT 99819 ME-196 PEARL WHITE NT SIZE:6 OZ. MODERN MASTERS METALLIC PAINT 99819 ME-196 PEARL WHITE NT SIZE:6 OZ. MAJIC 60081 8-6008 LIGHT YELLOW MAJIC RUSTKILL ENAMEL SIZE:1 GALLON. HAMMERITE 41125 SPRAY PAINT DARK BLUE HAMMERED METAL FINISH SIZE:12 OZ. SPRAY. MODERN MASTERS METALLIC PAINT 24732 ME-247 SAGE NT SIZE:QUART. XIM 11012 400C CLEAR FLASH BOND PRIMER SEALER BONDER SIZE:QUART. WOOSTER P3974 FACTORY SALE POLYESTER PAINT BRUSH SIZE:4" PACK:12 PCS. UGL 32612 ZAR 326 GLOSS EXTERIOR WATER BASED POLYURETHANE SIZE:QUART. RUSTOLEUM 77475 7747502 SUNBURST YELLOW STOPS RUST SIZE:QUART. XIM 11391 RESTORZ FIRE & SMOKE SEALER SIZE:1 GALLON.